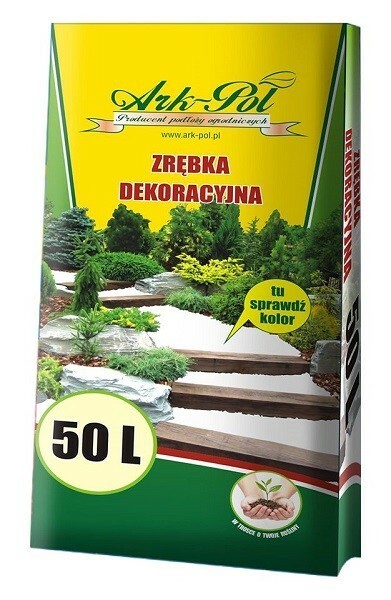 Thanks to a variety of colours of wood chips you can create fancy decoration of gardens, green areas, flower beds as well as plant pots at home. It is an ideal combination of functionality (protection against excessive loss of moisture) and aesthetics. Wood chips are dyed with organic colouring substances which are insoluble in water. These dyes are characterized by perfect adhesion to the wood which prevents them from being washed away by water or snow. Available colours: red, yellow, brown. The product is available in 50L bags. SKU: 11. Category: Decorative Wood Chips. Tags: decorative, wood chips.